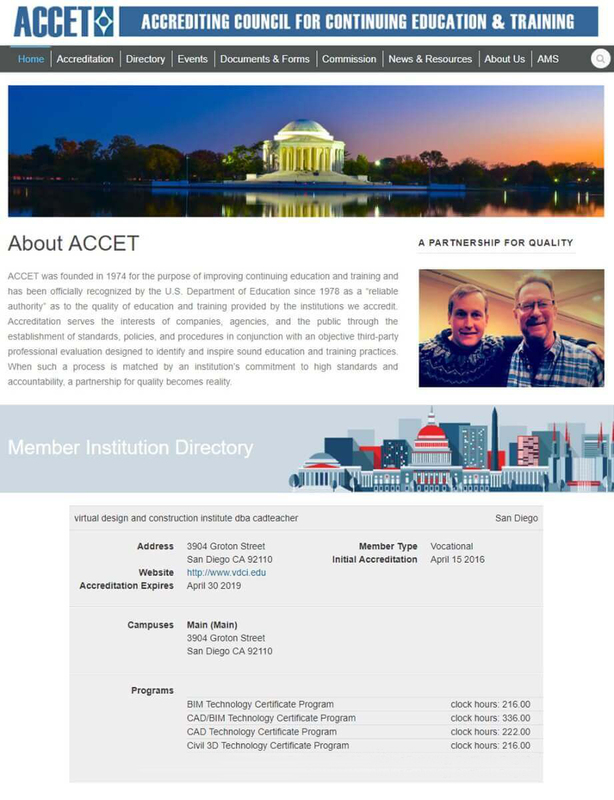 VDCI is nationally accredited by the U.S. Department of Education through ACCET, the Accrediting Council for Continuing Education and Training. As a nationally accredited institution, VDCI reports to the U.S. Department of Education through our national accreditors, ACCET, to maintain the highest standards of school performance and student results. VDCI | cadteacher is the first organically-grown, nationally accredited CAD and BIM Vocational Institution in North America.